I’m currently hard at work fully revising and updating my “Indexing Internals and Best Practices” seminar in time for a series of events I’ll be running in Australia in October/November. This has been a highly popular and acclaimed 2 day seminar that is a must for any DBA, Developer, Solutions Architect or anyone else interested in designing, developing or maintaining high performance Oracle-based databases/applications. For a number of reasons, there are many myths in relation to how Oracle Indexes function, how they should be maintained and how and when indexes should be implemented. One of the goals of my seminar is to go through and dispel many of these myths and demonstrate how these misconceptions can unfortunately often result in inappropriate and inefficient indexing strategies being deployed. 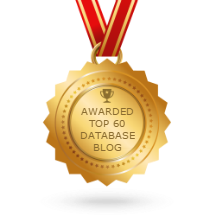 I have investigated numerous customer databases (including large scale Exadata sites) where the database is running in a severely sub-optimal manner as a direct result of inappropriate indexing implementations based on these myths. Some of these misconceptions are just plain wrong, some are true in other databases but not Oracle, some might have once been true but not anymore, some might be mostly true but not always, some might be mostly false but not always and it’s often these exceptions that can make such an important difference in how indexes could/should be deployed in some environments. Words such as “never” ,”always”, “all” and “none” are dangerous to use when discussing technology as exceptions, caveats and limitations can impact/distort the truth and how such technology should be implemented. My use of the term “Best Practices” in the seminar title is actually a deliberate, somewhat cynical reuse of a term that actually gets many customers in strife as what might be a so-called “Best Practice” in one environment might be totally inappropriate in another environments. If you wish to express an interest in attending a seminar near you, please email: richard@richardfooteconsulting.com.